In a crowded marketplace with non-traditional companies and DIY products being pushed into prospective channels, residential security dealers and low-voltage contractors may be questioning how they can differentiate their system offerings and help their businesses stand out in the market. One facet of residential installations that can provide concrete value for end-users is the addition of home automation components to security installations. The key selling point for home automation is typically convenience, but an understated added value that home automation provides is efficiency. Reduced energy usage and smaller monthly bills is an effective selling point as well. Consider what’s happening with electrical service usage in a typical home. As our digital culture continues to grow, the addition of electrical devices such as computers, gaming consoles, network hardware, and anything “plugged in” has significantly increased home electrical usage and corresponding costs. From the charts below it can be seen that residential usage of electricity has only increased approximately 9% from 2004 to 2014 while the cost of electrical services has risen 52% during the same time period. Information Provided by U.S. Energy Information Administration (www.eia.gov). When home automation services and devices are added to residential alarm system proposals, salespeople should show that “smart” thermostats, lighting controls for day and night, and other devices such as automated window shades to control sunlight can reduce the end-user’s electric bill. For those customers who are concerned about their “carbon footprint,” reducing electrical usage also reduces potential pollution. 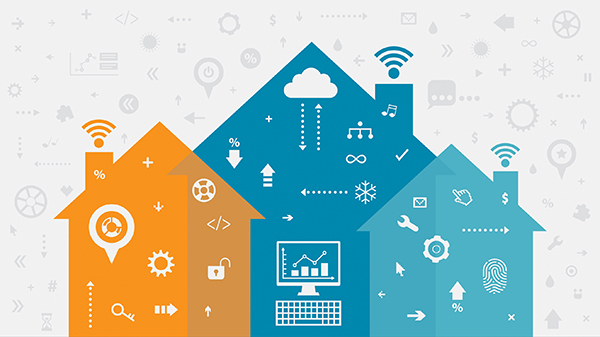 The evolution of the Internet of Things (IoT) has led to the development of technology that has opened many opportunities to combine Security and Home Automation. The connected home is now one that has the ability to arm the security system, lock the doors, change the temperature and control the lights, all using one command from one device. Showing residential users how home automation systems can provide a money-saving “green” solution is a great way to add to the peace of mind that comes with an efficient home security system. For assistance in creating a full bill of materials for your next project that includes both home automation and security products, ADI’s Systems Sales and Support Team is available to help. You can contact the ADI Systems Support group at 1.800.ADI.SYS1.